Call today to schedule your NO CHARGE consultation. Try one on and experience the "Miracle" for yourself. 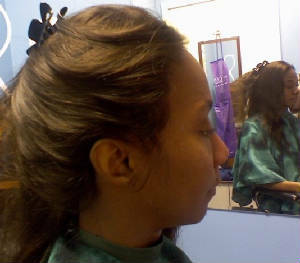 We also offer private rooms for consultations and application of ANY hair services. 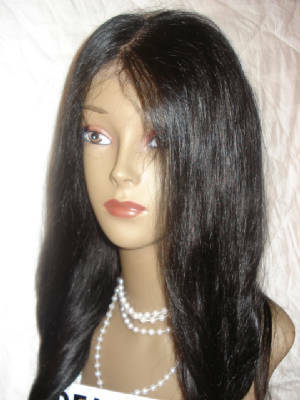 "tHAIRapy Salon" 18" Full Lace Indian Remi wig can be parted at any place on the scalp. Can be pulled back or up. 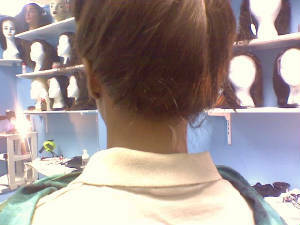 Even into a high ponytail with no detection! 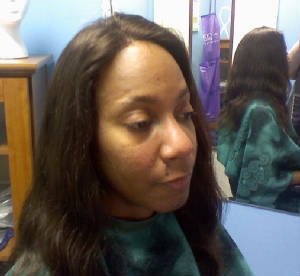 Lace you see here is trimed by our Professional Stylists and virtually disapears with application. 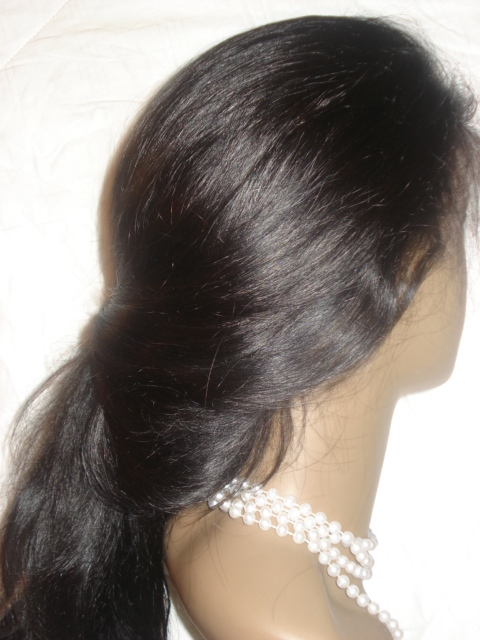 BEAUTIFUL 100% Virgin Remi Hair - Custom made with YOUR choice of color, length and texture. 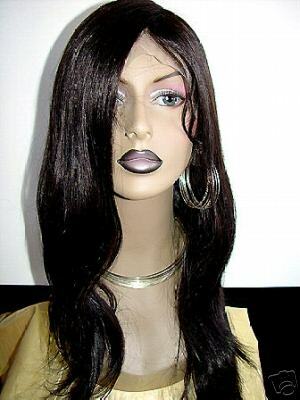 When properly applied this 100% Virgin Remi Human Hair will look as if it is grownig right out of your scalp. Light and comfortable - even YOU wont know its there! 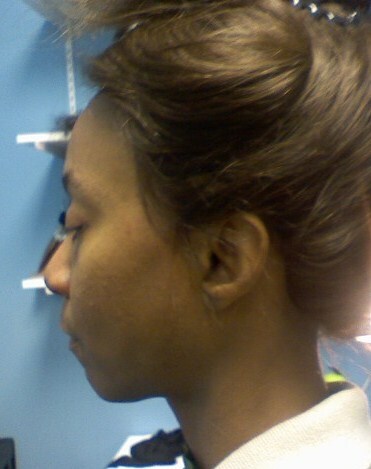 These custom hand made units will allow the Client to experience 100% natural looking and feeling hair. The application can last from 1 to 5 weeks depending on your preferences and can be worn up, down, pulled back or in a high ponytail - whatever you choose. 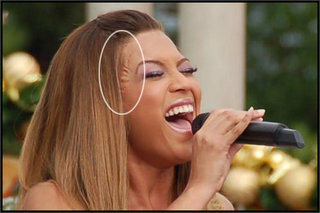 You can part the hair anywhere on the scalp and have a natural hairline all around. We can even add baby hair! The application is ideal for those who have experienced hair loss due to medical conditions, excessive braiding, improperly applied weave, chemical damage or for anyone wanting beautiful, natural, flowing hair with little maintenance! The choice of color, length, texture and style on these beautiful Custom Hand Made units are up to you! Each unit is made as individual as you are and fits your head PERFECTLY. So why not have the hair you've ALWAYS dreamed of. You deserve it! 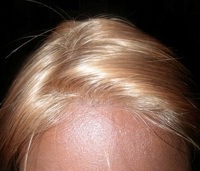 Close up of a hairline of a Full Lace Wig applied by a Professional Stylist. 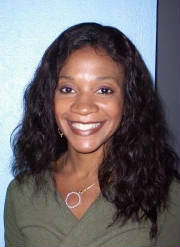 Call today to schedule a no charge consultation. TRY ONE ON and experience the "Miracle" for yourself! 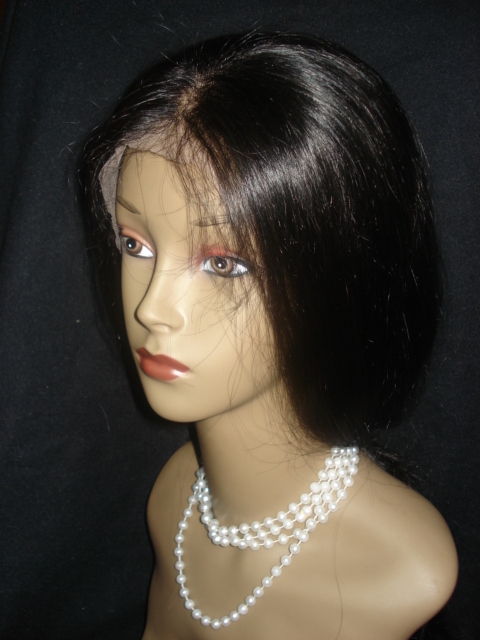 **Our In-Salon Package price includes Professional ordering consultation and measurements. 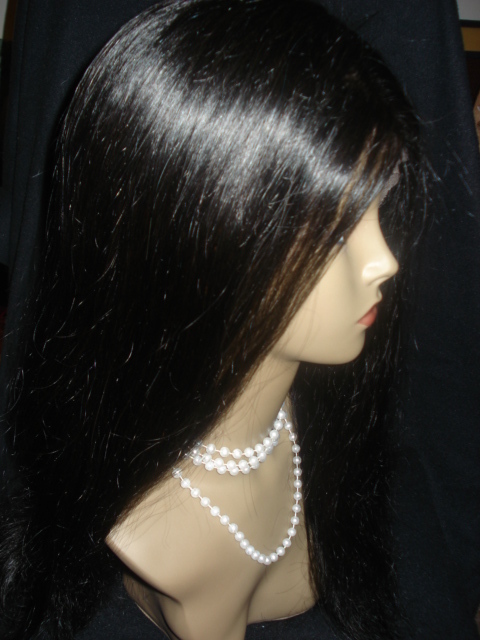 It includes free wig preparation, knot sealing, first application and cut or trim if desired. 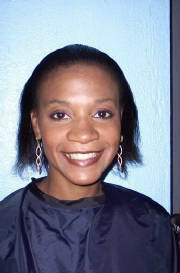 We also educate you with at home maintainence tips and sample supplies for touch-ups between salon visits.